American Standard Platinum air conditioners & Heat Pumps offer our highest combination of performance, efficiency, and temperature control. 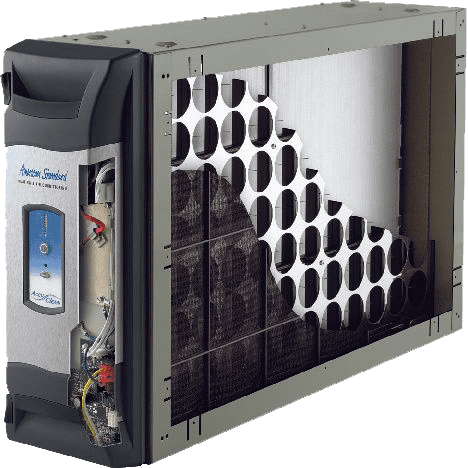 Built with American Standard’s commitment to quality throughout, the Platinum line offers advanced energy-saving features like Duration™ variable speed compressors and Spine Fin™ coils. Maximize your comfort with AccuComfort ™ variable-speed air conditioner that works smarter to lower the operating cost. Offers a wider range of operation to allow the system to operate when the competition’s products are cycling on and off. Get the comfort you want with AccuComfort ™ its technology that is consistent with a ½ degree in 1/10th of 1% increments. 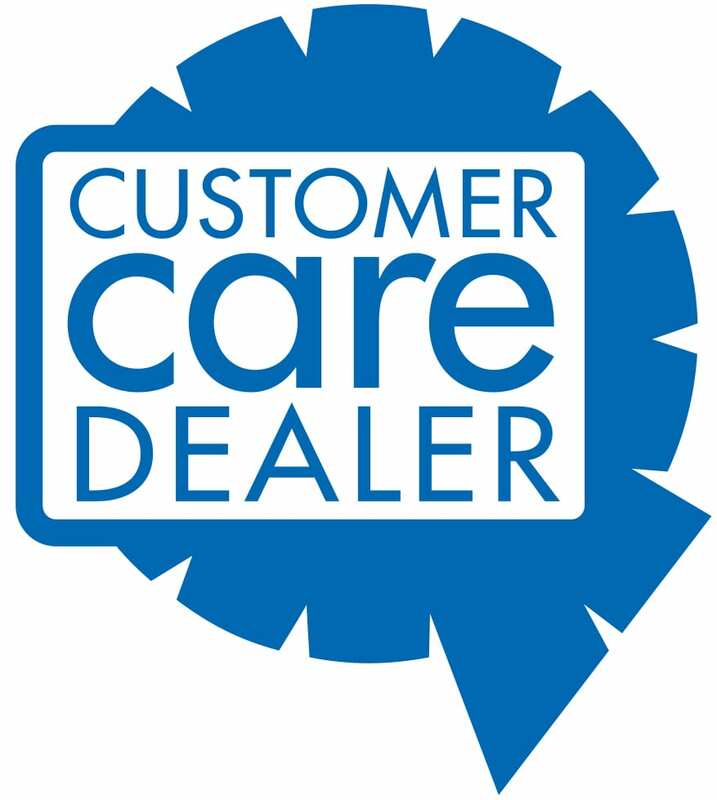 With lower compressor modulation and fan speeds yield amazingly low sound levels and max out the benefits of AccuClean ™ technology. This home central air conditioner or heat pump runs at 70 percent capacity except on the hottest/coldest days when it steps up to the second stage thanks to a two-step Duration™ compressor with two-stage heating & cooling. Experience quiet operation with this system that is so quiet, you'll barely notice its running. Enjoy our home cooling systems that heat/cool your home with an environmentally friendly refrigerant that’s ozone-safe. Rust-resistant coating, screws and base pan protect system from the elements. An unbeatable combination of value and reliability, Silver Series air conditioners feature Spine Fin™ coils and Duration™ single-stage compressors, providing powerful cooling with the reliability you expect from American Standard. For a space-constrained application solution, we offer our Silver 16 Low Profile AC. 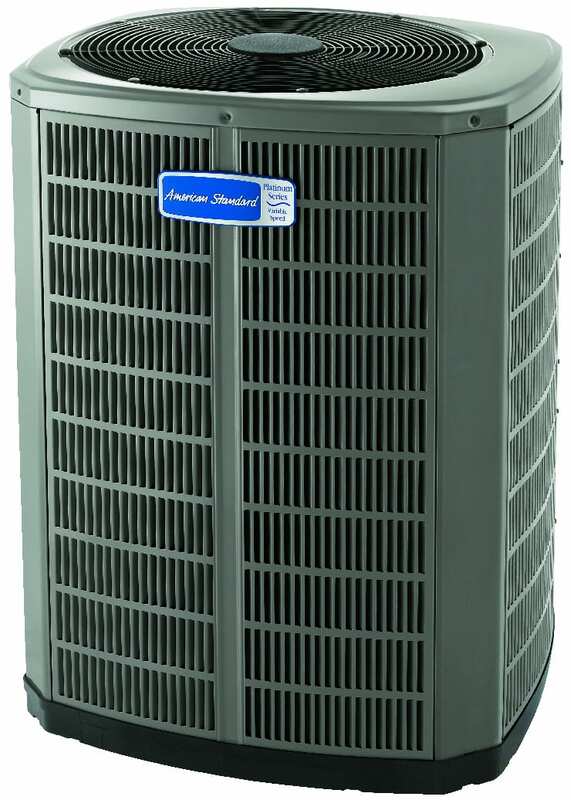 This system’s design is an economical option for efficient and reliable heating & cooling. Uses an environmentally friendly refrigerant that is ozone-safe. Get more efficient and reliable heating & cooling thanks to the Spine Fin™ coil and durable Duration™ compressor in this system. We protected the system from the elements with a rust-resistant coating, screws and base pan. Our most innovative offering is also our most efficient. 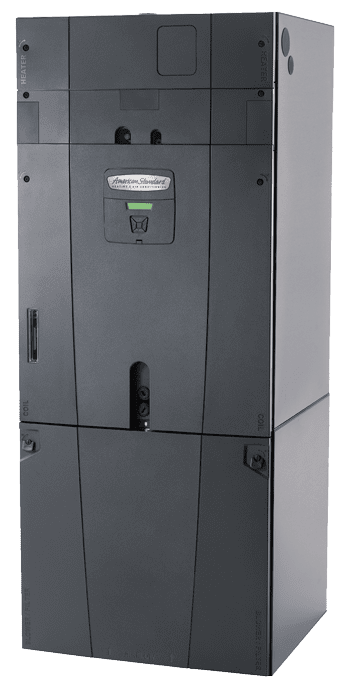 It features a variable speed motor and integrated humidity control through Comfort-R™ technology, and a uniquely designed cabinet to help prevent energy loss and condensation. Platinum TAM8 and TAM9 models also include advanced communication features for a perfectly optimized matched system. 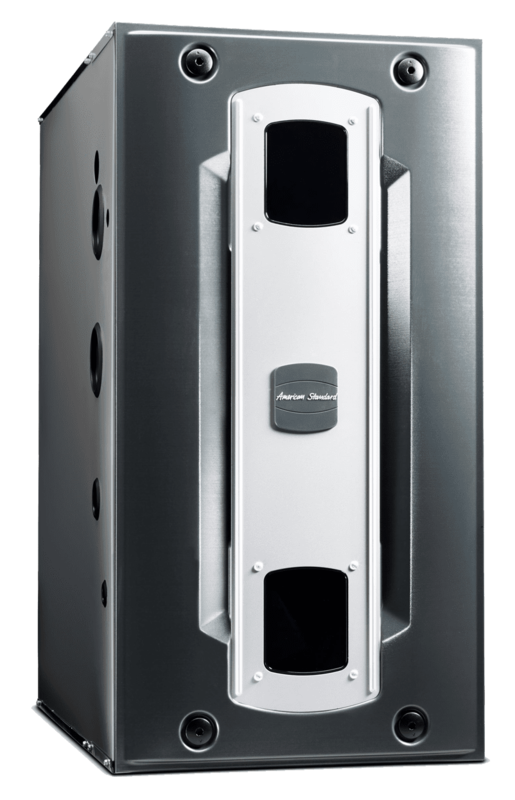 Rugged and durable, the Silver Series meets or exceeds all standard efficiency requirements as part of your matched system. It’s the quality performance you’ve come to know from American Standard.